Welcome to the third year of our exclusive Free Mystery Block of the Month by Pat Sloan! This year Pat's theme is 'The Secret Garden'. With Block 9 Pat travels down to Sunny Florida! The past blocks and supply list are here. Watch the video as Pat gives explains the bonus block & has Sneak PEEK of her next fabric line! The Bonus is a repeat of Block #2 with different color placement. PLEASE NOTE - Download the supply list here if you are using Colorway 1 fabrics. Pat switched the position of a few fabrics for that specific fabric collection for future blocks. If you are not using that fabric collection if does not affect you. I love doing the blocks in two colorways so you can see how different fabric placements change up a block. I might venture that Block 9 is my favorite! I can see a whole quilt of these as those corners will make secondary designs. If you do a quilt of them, send me a photo! With the nice large 16.5” x 16.5”, we will have a fun lap size quilt when done! With the bonus blocks, we have a 3 x 4 structured block layout. The layout diagram is at the end of the pattern. 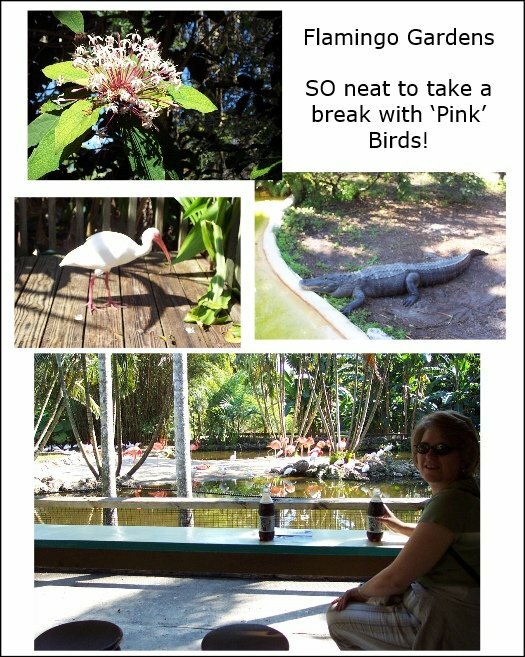 Flamingo Gardens in Florida! Janet in my facebook group mentioned the garden and I remember I have been there! It was quite a few years ago so I found some photos. This is a perfect September garden to showcase! The neat part is that the garden is still very large and the original Wray Home is on the property. It was built in 1933 as the weekend residence of Floyd and Jane. I love that it has been restored so you can see a glimpse into life in South Florida in the 1930s. I’ve had a fascination with ‘the pink birds’ for a long time! They are incredibly beautiful in person and BIG! I always forget how big they are. 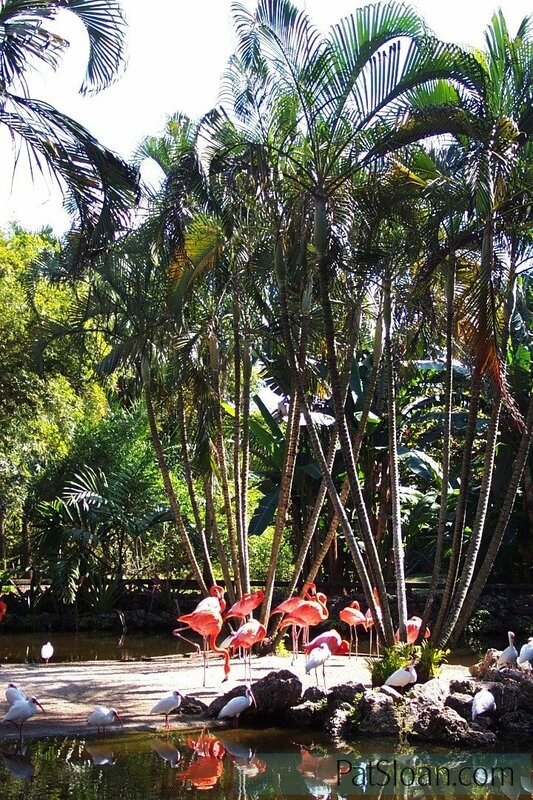 Learn more about the Flamingo Garden in FL, you know I really love the history of these gardens Plus… they are on 3750 S. Flamingo Rd.. what a perfect name!